David Willetts announces funding to build a state of the art metrology laboratory at the National Physical Laboratory (NPL). In a speech at Policy Exchange on 24 January 2013, the Minister for Universities and Science, David Willetts announced that the government will be providing an extra £25 million to build a state of the art laboratory for cutting edge measurement research at the National Physical Laboratory (NPL). We are providing an extra £25 million to build a state of the art laboratory for cutting edge measurement research. The creation of advanced facilities at the National Physical Laboratory in Teddington will allow scientists there to undertake leading edge research in key nano and quantum metrology (measurement science) programmes. The new facility at NPL will house an estimated 20 laboratories, for around 40 scientists, specially designed for high precision metrology. The facilities will provide a tightly controlled research environment with stable temperature and humidity levels and minimised interference from vibration (direct and acoustic), and electrical and magnetic fields. The returns to the UK economy from government investment in measurement science are proven to be significant. Net benefits from the Advanced Metrology Laboratory are likely to be in excess of £500 million. 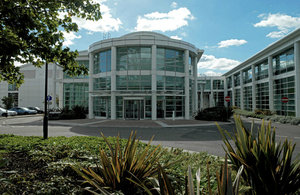 This investment in NPL’s work and the further development of the site at Teddington is especially welcome in light of the minister’s announcement in November 2012 that he was seeking a strategic partnership between the Department for Business, Innovation and Skills (BIS) and one or more national or international academic partners or applied science organisations to secure NPL’s long-term operation. It will also play a pivotal role in the creation of a new postgraduate institute at NPL.